First Takayama-style ramen for me. 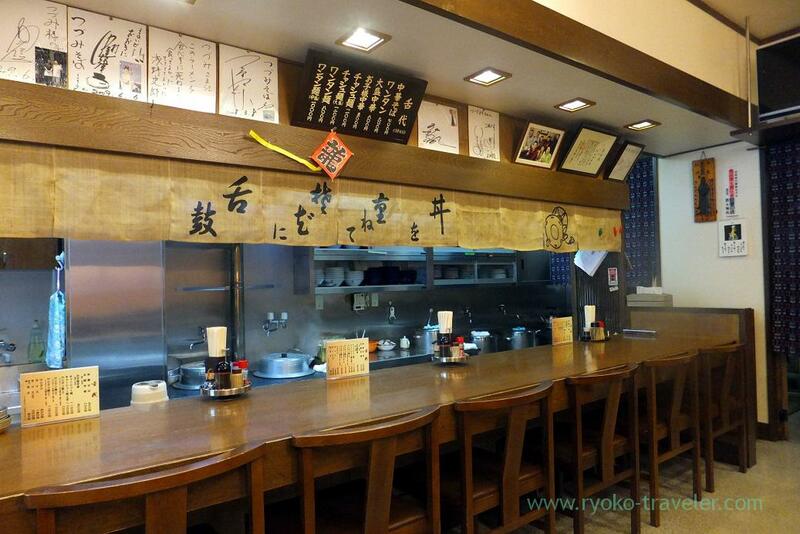 After we visited Sakurayama Hachimangu shrine, we went to a ramen shop to have lunch. We intended to go to another shop at first, but unfortunately it was temporarily closed. Towns having cold weather during winter like this area often take no business day and change their business hour during snow season. So you’d better to confirm in advance if you visit such a cold district. 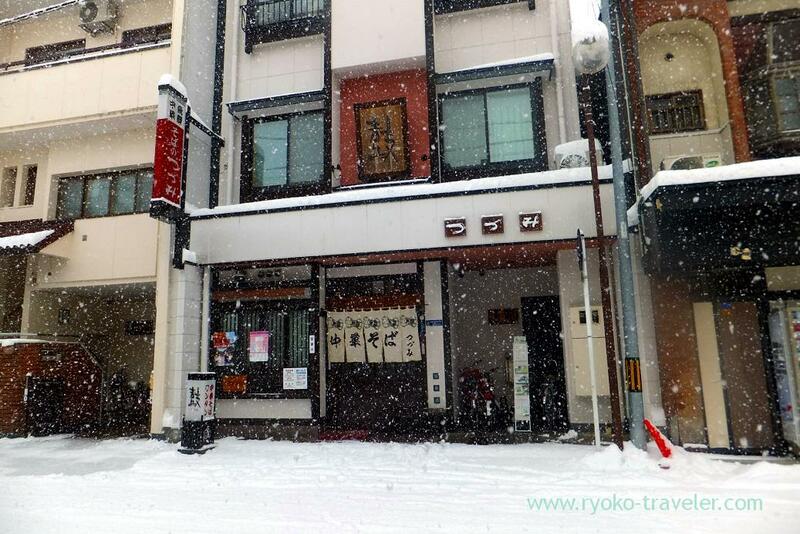 But Takayama have some ramen shops that serve delicious Takayama-style ramen, so we went to Tsuzumi soba instead. They have started their business in 1956. They don’t use the word “Takayama-style ramen” for tourists. It’s the standard taste for them. So, they don’t need to use the word. And they don’t have ticket vending machine. 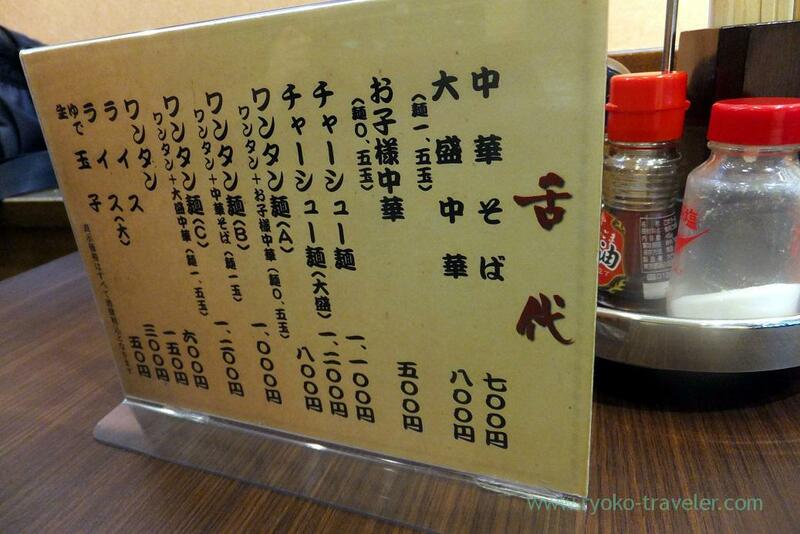 I ordered wonton noodles B (ワンタン麺B, 1000 yen). The wonton was so smooth and its texture was good. It had wonton, roasted pork, menma, green onion. This curly narrow noodles absorb soy sauce based ramen having extract of pork bone, vegetables and so on.